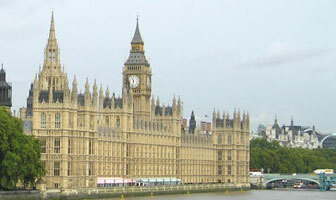 British members of the House of Lords have urged the UK to lead the drive to defend the Iranian residents of camp Liberty until they can be moved to the safety of a third countries. The Lords also accused Iraq of failing to protect the Iranian dissidents at the camp because Iraqi prime minister Nouri al-Maliki is a ‘client of the Iranian regime’. At a debate, on February 27, in the presence of Foreign Office minister Baroness Warsi, Baroness Turner of Camden condemned the public executions and oppression of women in Iran and praised the ‘equality agenda’ of Iranian Resistance president-elect Maryam Rajavi. She said of the Iranian opposition members in Iraq: “Groups of its members are in UN-protected camps in Iraq at the moment — Ashraf and Liberty — but unfortunately because the present Iraqi regime has extremist links with the Iranian Government, members of the camps have been subjected to harassment and there has even been violence in which some of them have been killed. Lord Carlile of Berriew told the meeting: “There are Iranian dissidents in refuge in Camp liberty in Iraq. They are persecuted daily. This week they have been refused access by officials of the Iraqi Government to medically prescribed therapy. “In the past they have been refused access to communications. They have been refused access to water, they have had their defensive walls removed from around their premises, there have been more than 150 assassinations there, and they have been unprotected by the Iraqi Government. He added: “I urge the Minister to declare very clearly to this House that the United Kingdom is in the forefront of international efforts to save the lives of the residents of Camp liberty and to give them a safe haven elsewhere. Baroness Warsi told the debate: “The human rights situation in Iran remains dire and we are determined to hold the Government to account. We frequently release statements condemning the human rights situation in Iran and have led action by the international community on this.